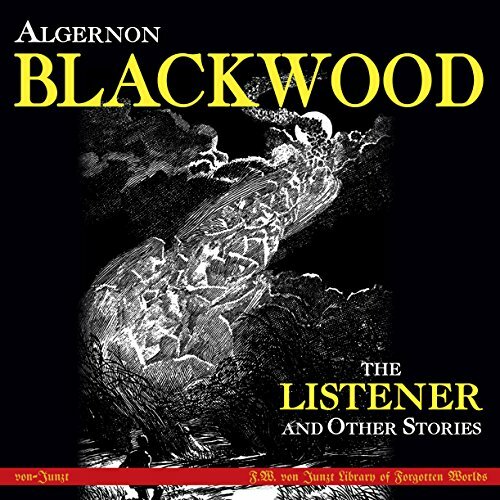 Algernon Blackwood was an English author who dealt primarily with the supernatural. 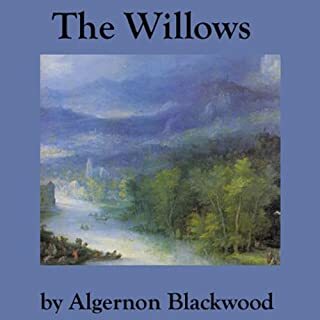 The Willows, his most celebrated story, was influenced heavily by Blackwood's own trips down the Danube River. It tells the story of two campers who pick the wrong place to sleep for the night, a place where another dimension impinges on our own. 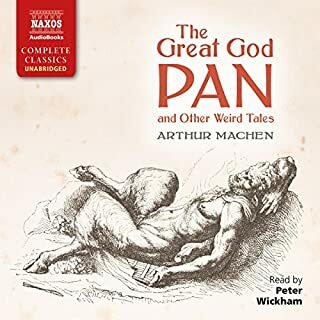 FNH Audio Presents and unabridged reading of this classic weird tale. What is madness? Do the insane know they are mad, or do they believe in what the world around them calls madness? Jones the clerk has a very special belief. Is it real, or is he mad? "Max Hensig: Bacteriologist and Murderer"
A pair of adventurers on a canoe trip down the Danube discover, after stopping for the evening on a small island covered with tiny willow trees, that they are trespassers at the gate of unknown and hostile forces from beyond the Earth. An mild-mannered clerk in a fire insurance office becomes convinced, through the intervention of the ghost of a deceased co-worker, that his manager was an official of the Spanish Inquisition who tortured him to death in a past life - so he buys a gun. A young man, just diagnosed with a weak heart and feeling despondent about it, goes to a dance, where he meets the woman of his dreams. But is she real, or a ghost? And if she is a ghost, what is he? "The Old Man of Visions"
The old man didn't talk much, but through him one could see beyond the veils of the material world. But he was careful to warn: "Should you seek to explain me to another, you must lose me beyond recall." 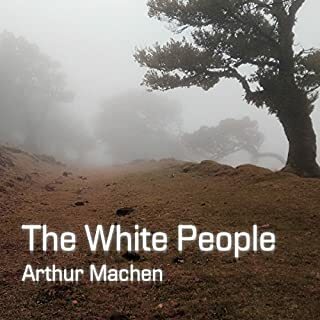 A skeptical, materialistic physician, on the way to visit a dreamy folklore professor, strays from the road on May Day Eve and finds himself wandering helplessly into a strange and terrifying spirit world. "Miss Slumbubble - and Claustrophobia"
Miss Daphne Slumbubble is on holiday when for no apparent reason a ghostly terror creeps into her soul, causing her to try to leap from a train. But why? The narrator did a great job. I enjoyed his character voices and his overall tone fit quite well for this book. Hope to come across him more. English isn't my primary language and hence I wasn't familiar with the author's name and didn't know that these were all classic old timey stories. I do sometime like old stories. But the language style in this one was a little difficult to understand for me. The sentence structure and the dialect is a lot different than modern english, of course. This shouldn't be much of a problem for native speakers. And can be a learning opportunity for others who use English as second language. I would think the narrator did a good job of voicing he classic characters. Not that I would know how people talked back then. 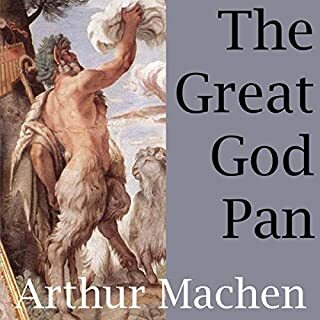 But since the dialect used in this book is different than what I usually listen to, and it did sound charming in a way, I think the narrator deserves credit for that. Stories of human reactions to supernatural conditions. A little like Poe, but toned down. Sometimes a hint of a Lovecraft type of hidden dimension.The narrator did a good job with slow developing material. This was a good collection of stories written 100 years ago.I found some slow going but the look into the past is fascinaing.Finn J.D.John was a fine narrator for this project.I was given this book by the narrator,author or publisher free for an honest review. Well written, though not particularly relevant today. Like many early influences on the genre, the source material seems tame compared to what has been built on its shoulders. Glad I took the ride through dusty old places. I thought the stories were great, but I couldn’t finish listening. It was first published in 1917 and as soon as you listen, you will believe it. While the stories are very good, I found it I didn’t give it 100% concentration, I had difficulty following. The author was very descriptive and often goes on and on describing something. I understand that is the way things were written back then, it’s just not for me. I really enjoyed this audible. All the stories are well written and filled with suspense. I requested a copy of this audible free and am happy to give my honest unbiased review. Would you consider the audio edition of The Listener and Other Stories to be better than the print version? Not this version - the audio narration is just not for me. What other book might you compare The Listener and Other Stories to, and why? Any other weird fiction or ghost stories. William Hope Hodgson is very similar in style and substance. 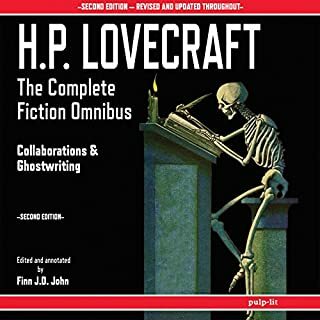 Maybe its personal but I just don't like the Finn JD John's voice (I've heard him before in Lovecraft narrations and thought the same). Some of the accents he attempts are laughable. The Listener (first story) is truly terrifying - loved it! The Willows is also on here, probably his most famous and also great.